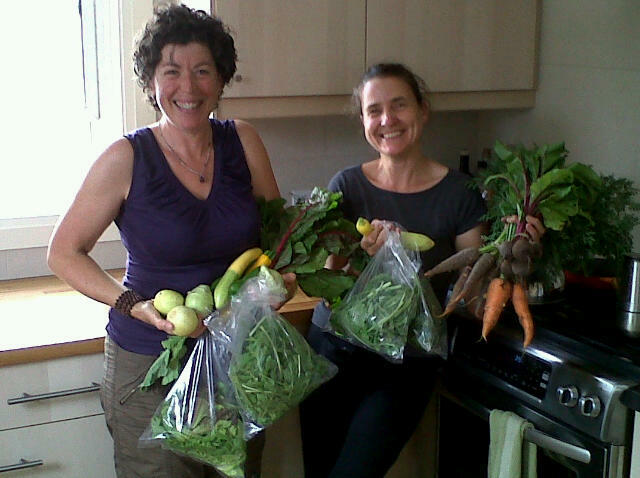 my lovely friend, Lise Labrecque, sent me this photo titled “happy customer, happy farmer”. we do really look happy. This entry was posted in Farm Photos and Updates, Recipes. Bookmark the permalink.